ZenHub&apos;s flexible solution for GitHub unifies project management and development. Task boards make workflow visualization simple and accessible in real-time. 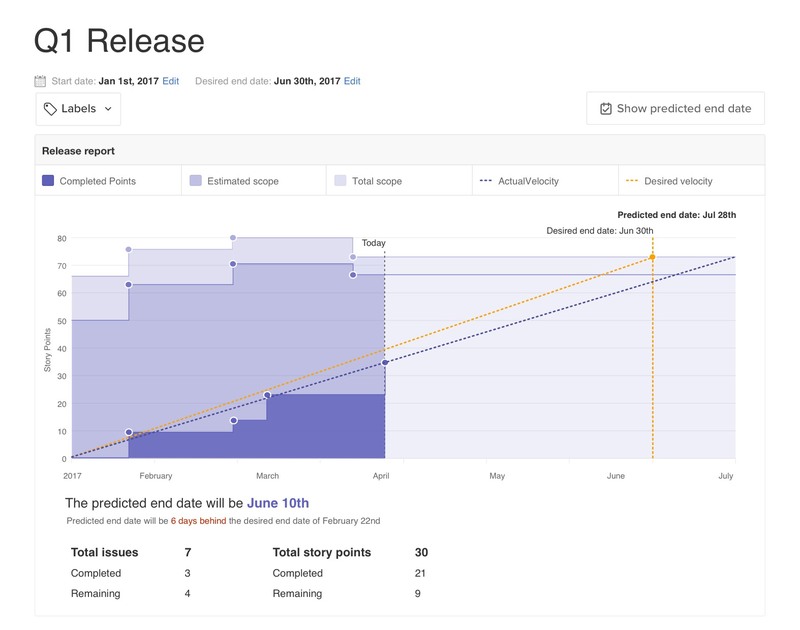 Turn GitHub Issues into Epics, add user stories, then get sprinting with milestones. Data-visualization and reports enable more accurate predictions and development insights. Track projects, filter by labels, assign Issues, and get visibility on priorities. 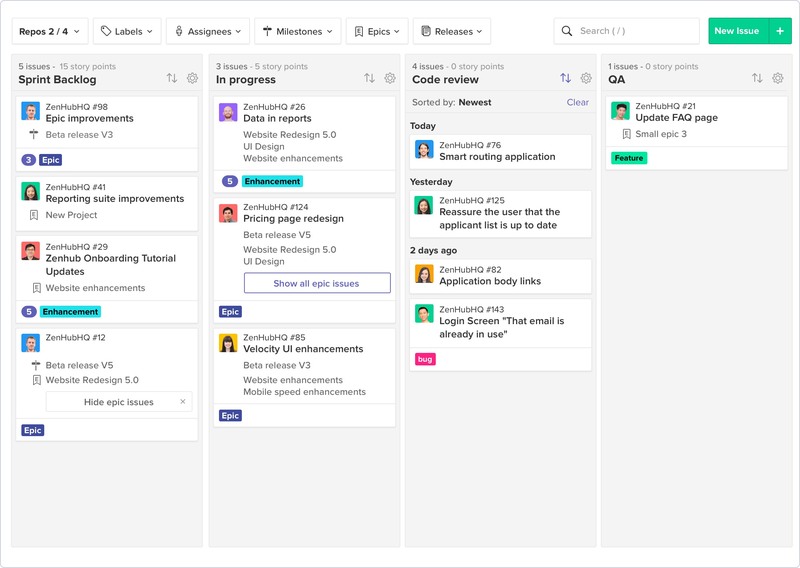 Task boards use your existing GitHub data to provide total transparency in your development process. Drag and drop Issues between pipelines, identify blockers, and prioritize what matters most. Customize your workflow and use the methodology best suited for you and your team. 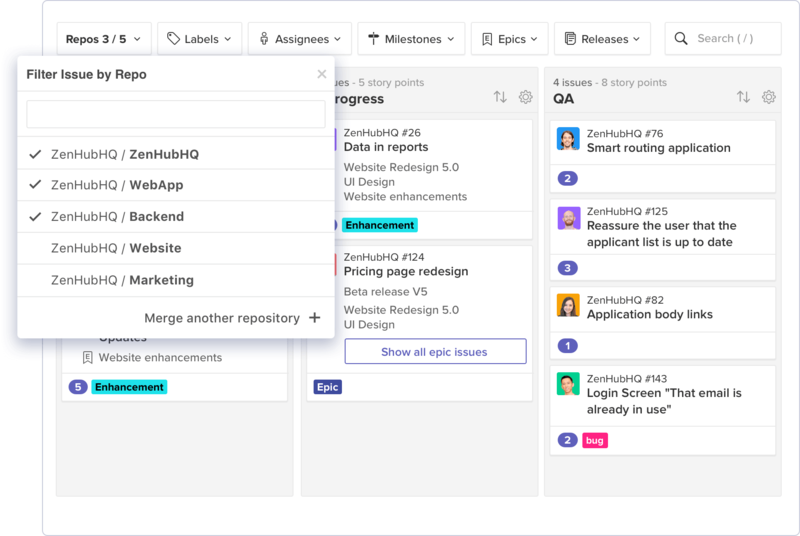 Epics help teams plan and collaborate on product backlogs, letting you group multiple GitHub Issues together for better planning and tracking. Built for teams with projects spanning many Repositories and managers seeking an organization-wide view. Multi-Repository Boards allow teams to build workspaces custom to their workflow. Catch bottlenecks early and better understand project complexity. Add story points and track progress towards Milestones. ZenHub uses live GitHub data, so the information is always accurate. Catch bottlenecks early, and better understand project complexity. Get deeper understanding of scope changes over time to determine if you’re on track to hit important goals. Measure the value your team delivers to customers. 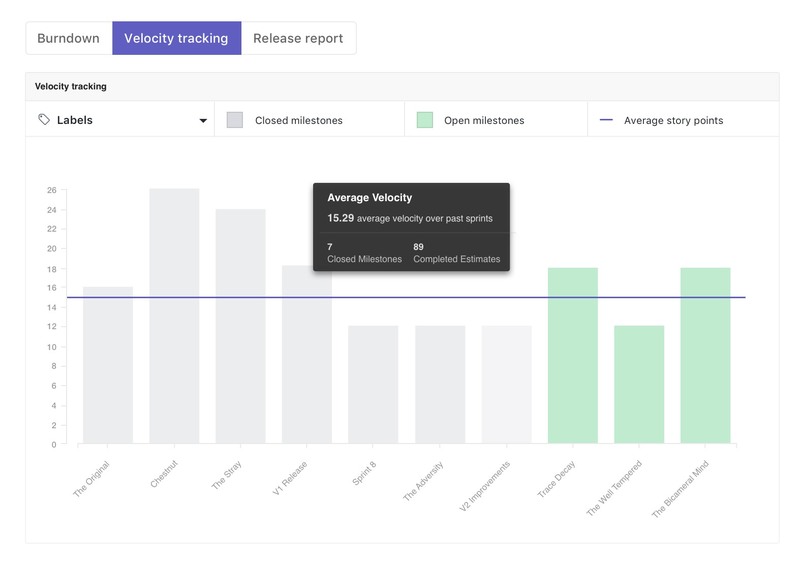 Velocity tracking helps teams determine their pace, detect trends to improve processes, and stay agile. 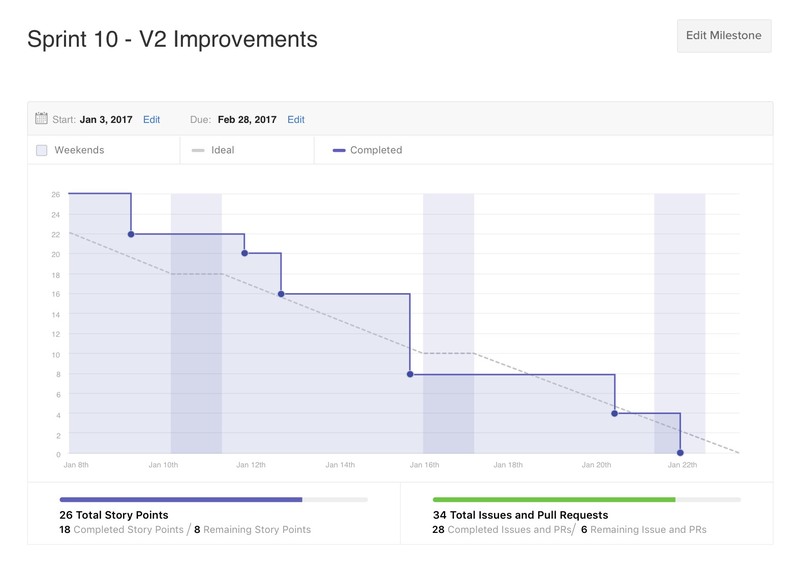 Burndown Charts, integrated with GitHub Milestones, help teams meet deadlines more predictably. Visually compare complete and remaining work. 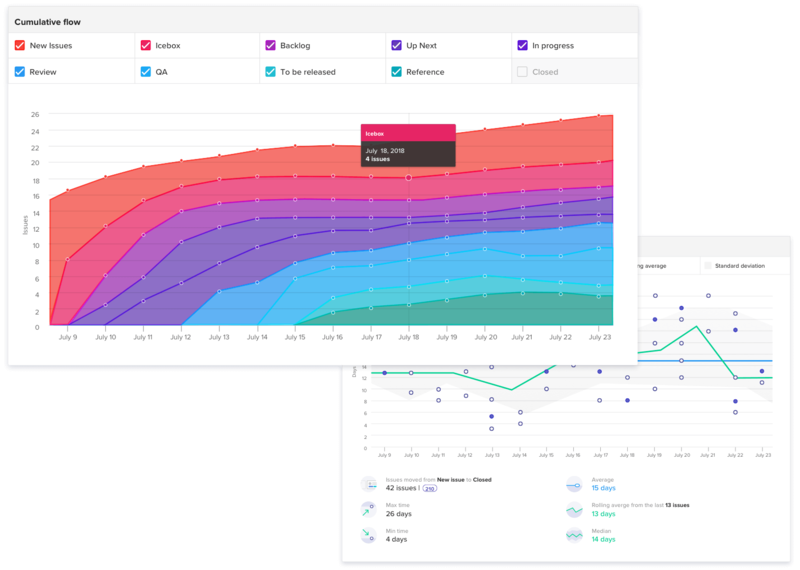 Cumulative Flow Diagrams and Control Point Charts help Kanban teams easily understand the throughput of issues on the board, identify bottlenecks where issues are piling up, and better understand their cycle and lead time. ZenHub is the only project management solution within GitHub. Keep Developers happy and your Project Managers informed. Migrate data, integrate with other tools, automate workflows, and much more. 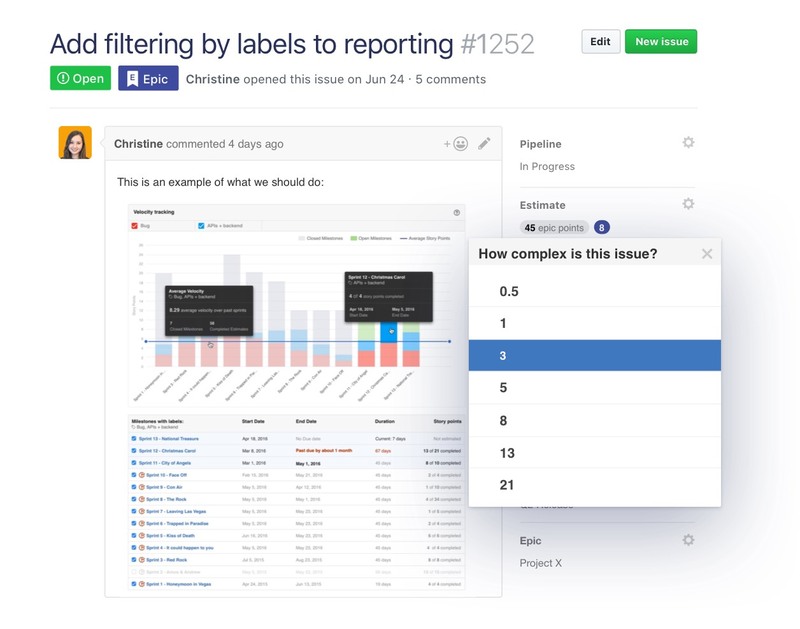 Attach Pull Requests to their corresponding Issues and get visibility by tracking them on your boards. 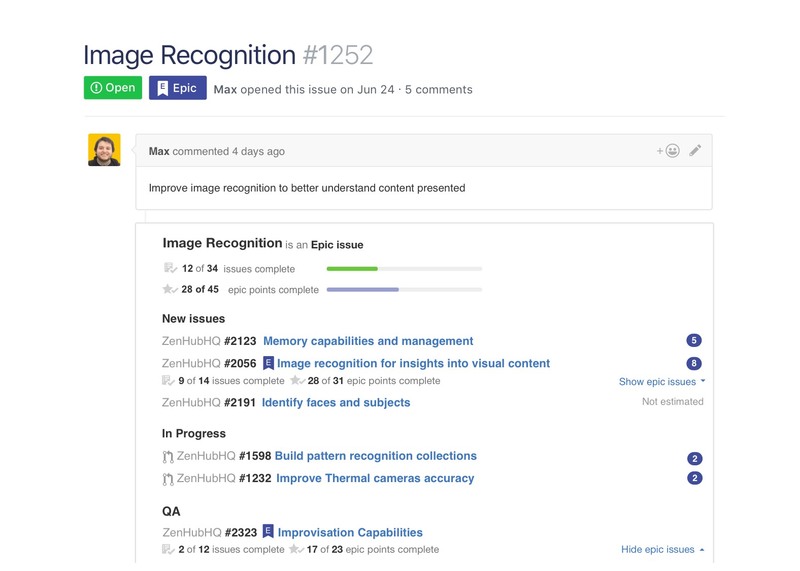 Get instant updates on your GitHub Issues, time estimates, projects, and more. Add, rename, remove, and reorganize pipelines so your team can work how they know best. Teams can merge Repos from multiple GitHub organizations into the same board. Save time by updating labels, assignees, milestones, and Epics, or make pipeline movements all at once. Easily transfer an Issue and its comments to another Repository or pipeline. Identify what Issues need to be completed first and better understand how Issues are related. From Shopify, to Mozilla, Docker, and Microsoft, the fastest-moving software teams rely on ZenHub.